The national housing market continues to show gains, with home prices rising year-over-year during the month of February. This is fantastic news as it shows that the U.S. real estate market continues to rebound from the Great Recession. If you’re considering listing your home anytime soon, please continue reading to learn more about current national housing market trends. CoreLogic released its February 2015 CoreLogic Home Price Index and the conclusions are favorable for home sellers. US home prices (including distressed sales) increased by 5.6 percent in February 2015 compared to February 2014. That increase marks three years of consecutive year-over-year increases in national home prices. Month-over-month, national home prices (including distressed sales) increased 1.1 percent in February 2015 compared to January 2015. 26 states and Washington DC were at or within 10 percent of their peak prices during the month of February. Six states, including Colorado (+9.8 percent), New York (+8.2 percent), North Dakota (+7.7 percent), Texas (+8.5 percent), Wyoming (+8.4 percent) and Oklahoma (+5.2 percent), marked new home price highs since January 1976 when the CoreLogic HPI began. When you exclude distressed sales, home prices increased by 5.8 percent in February 2015 compared to February 2014. And home prices increased by 1.5 percent month over month compared to January 2015. If you include distressed sales, the five states with the highest home price appreciation were: Colorado (+9.8 percent), South Carolina (+9.3), Michigan (+8.5 percent), Texas (+8.5 percent) and Wyoming (+8.4 percent). If you exclude distressed sales, the five states with the highest home price appreciation were: South Carolina (+9.7 percent), New York (+9.2 percent), Colorado (+9 percent), Texas (+7.9 percent) and Florida (+7.8 percent). If you include distressed sales, the peak-to-current change in the national HPI (from April 2006 to February 2015) was -12.2 percent. If you exclude distressed sales, the peak-to-current change for the same period was -7.8 percent. If you include distressed sales, only Connecticut had a decline in home prices, with a 0.9 percent decrease. 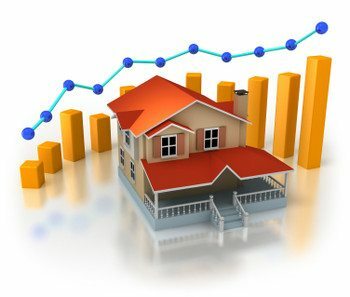 The five states with the largest peak-to-current declines, including distressed transactions, were: Nevada (-35.4 percent), Florida (-32.4 percent), Rhode Island (-29.6 percent), Arizona (-28.4 percent) and Connecticut (-24.7 percent). If you include distressed sales, the U.S. saw 36 consecutive months of year-over-year increases. 92 of the top 100 Core Based Statistical Areas (CBSAs) measured by population had year-over-year increases in January 2015. Those core based statistical areas that saw year-over-year declines were: Baltimore-Columbia-Towson, MD; Philadelphia, PA; Hartford-West Hartford-East Hartford, CT; New Orleans-Metairie, LA; Rochester, NY; Worcester, MA-CT.; Albany-Schenectady-Troy, NY; and New Haven-Milford, CT.
Based on recent market data and projections, the CoreLogic HPI Forecast suggests that home prices, including distressed sales, will increase by 0.6 percent month over month from February 2015 to March 2015 and on a year-over-year basis by 5.1 percent from February 2015 to February 2016. If you exclude distressed sales, home prices are expected to increase by 0.5 percent month over month from February 2015 to March 2015 and by 4.8 percent year over year from February 2015 to February 2016. How Can We Help You With Your Next US Home Sale? If you’re interested in entering the market anytime soon as a home seller, please make sure to contact us. We would be happy to assist you by further analyzing recent market activity to see how it may affect your specific efforts as a home seller.